Intriga e Amor –Uma Tragédia Burguesa em Cinco Atos de Friedrich Schiller, trad. Mario Luiz Frungillo, Editora UFPR, pp. 30-31. "I thought how unpleasant it is to be locked out; and I thought how it is worse, perhaps, to be locked in"
She is best known for two contrasting accomplishments: translating from the French, to great acclaim, Marcel Proust’s complex Du Côté de Chez Swann (Swann’s Way) and Flaubert’s Madame Bovary, and writing short stories, a number of them among the shortest stories ever written. 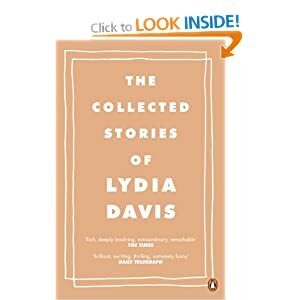 Much of her fiction may be seen under the aspect of philosophy or poetry or short story, and even the longer creations may be as succinct as two or three pages.